Chutney at home is always Groundnut/ Peanut chutney. At Amma’s place depending on what she makes, she also makes Coconut Chutney along with Groundnut Chutney. So you can understand when I say that I grew up assuming that one will always serve coconut chutney for Adais, Pesarattu etc. But with Hubby dear, it has always been Groundnut chutney for anything. Since he is my premier customer for these dishes, I end up thinking I better make sure I make something he eats. No point in making something else and again wondering if he will like it or not. One of my colleagues, who hails from Hyderabad, once told me that coconut chutney is a must at his place. Since then I always wondered how it is not prepared in hubby dear’s native place. So you can imagine he has never a liking to this wonderful chutney! That meant I only get to make only one chutney always. Anyway since the time we decided we are going to cut back on using so much of groundnuts, I then had the task of finding a substitute that’s easy yet tasty to make. 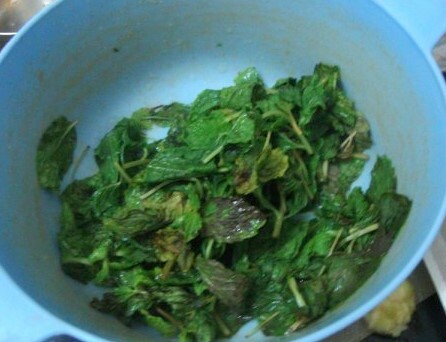 So in came Mint / Pudina chutney. I always pick up a bunch during my weekly shopping. 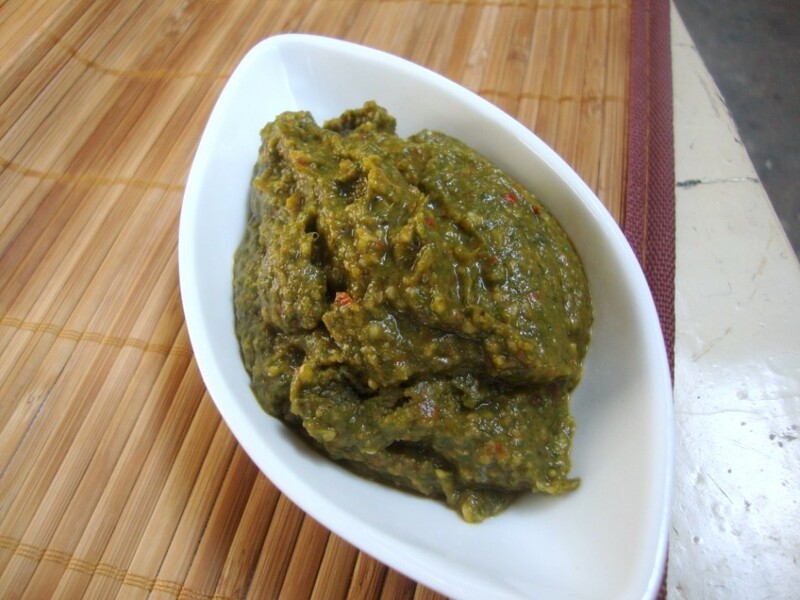 There are probably hundreds of ways to make this mint chutney. I make it about 5 different ways myself and today’s post is one of them. This is the most easiest and simplest and even more simple because I made it in microwave. 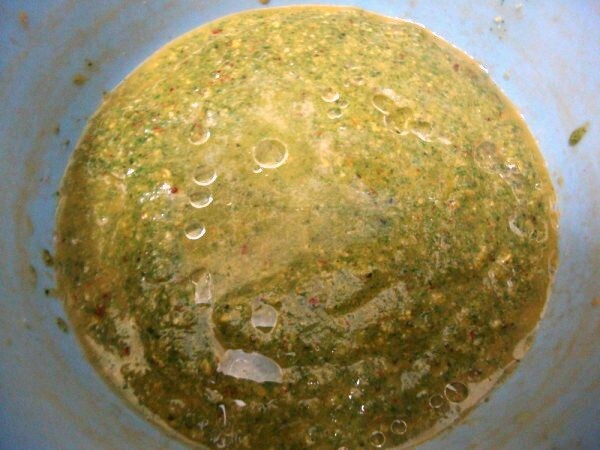 Tamilians call chutney as Thogayal, which is mostly not very thin but a thicker version and served with rice. 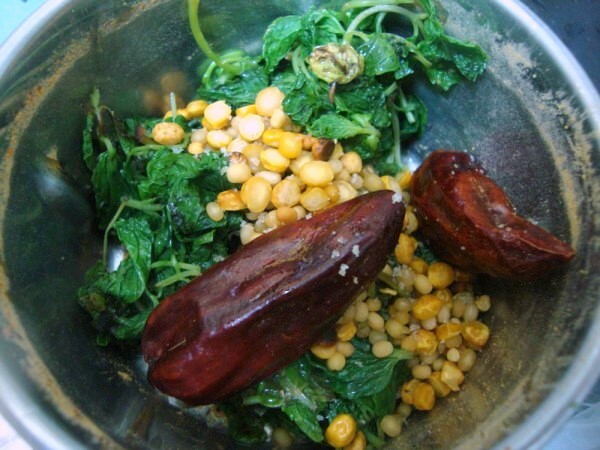 And I also made the best by using the dals I roasted for the Molaga podi. Time : 5 mins for entire cooking. Wash and drain the leaves for a while. In a microwave safe bowl add 1 tsp of oil and bengal gram. Microwave for 30 secs, if required for another 15 secs. It mostly starts smelling good at this stage, remove to a plate. Next add the urad dal and micro for 30 secs, followed by dry chilies. At this stage you will see that the bowl will not have any oil left behind, so it’s almost like dry roasting the chilies. Remove and allow to cool. Add salt and blend in a mixer. First run the dals, followed by mint leaves. Add water for everything to run smoothly. Remove and microwave for 1 -2 mins depending on how much water you added. You can even add few drops of oil so that the raw smell leaves completely. Serve with any tiffin or rice as a side. Sending this for both my events Condiment Mela & MEC : Potluck Party. I have mint growing wild in my garden. 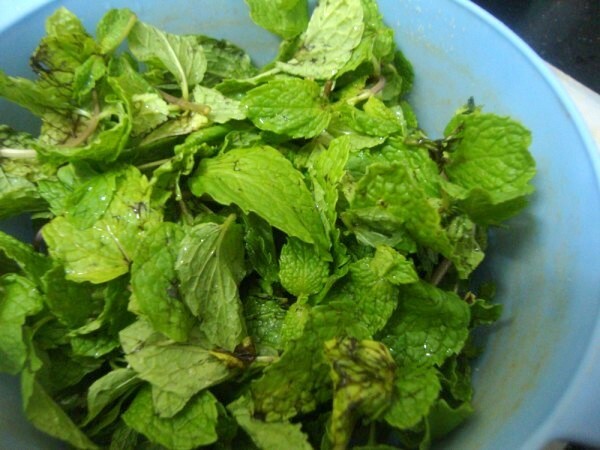 Will definitely your version of mint chutney soon. Wat a wonderful,healthy and highly inviting..
Quite a healthy one!! !Love this with bread toast. This is a different version from what I normally make, never thought of adding the dals to the dhutney, will try this out soon. I love mint and with mint growing in our garden this is one I wouldn't mind trying. Even my husband always insists on having only Groundnut chutney with everything! But I keep trying my best to make innovative chutneys to interest him in vain 😀 Thogayal looks great! It used to be a regular feature at our home too when I was growing up.. I make thogayal the same way except that I add some coconut and a small piece of tamarind too. You seem to put good use of the microwave. I only use it for warming leftovers and heating milk. 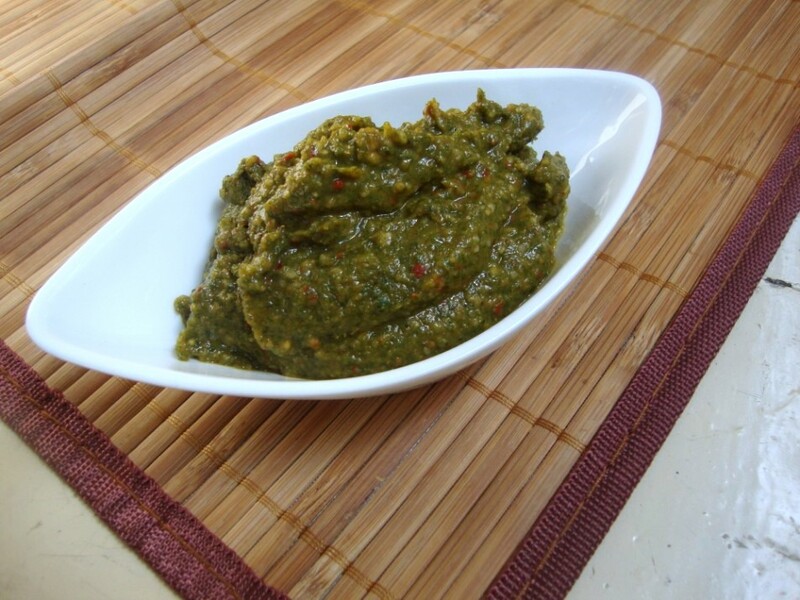 The pudina chutney looks amazing! I can almost feel the aroma! My mom makes this chutney a lot. Looks yummy!